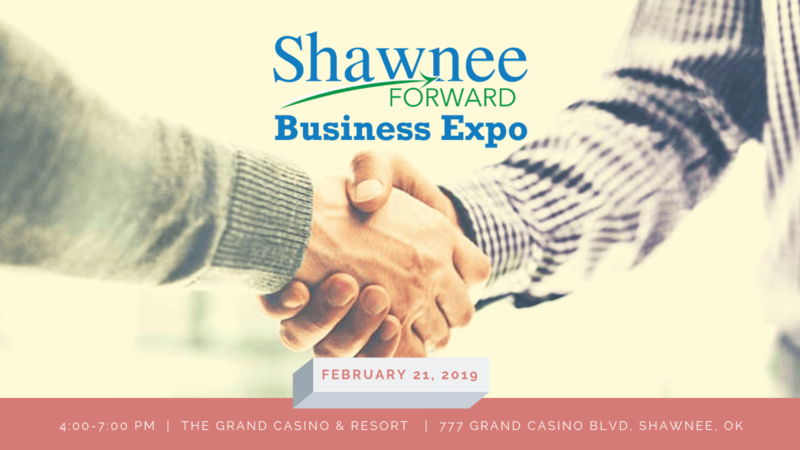 The Shawnee Forward Business Expo is your opportunity to boost your brand, connect with excellent local businesses, and hang out with professionals from the Shawnee area. This year’s Business Expo will be hosted at The Firelake Grand Casino and Resort on February 21, 2019 from 4:00-7:00pm. Our theme is “Tailgate Party.” Come and party with us and let others know about your product or service. You can download a registration application at https://shawneeforward.com/business-expo. Booth space is $200 per exhibitor. Become a Touchdown Sponsor for $100 and your logo will be placed in all pre-event marketing and listed on our sponsorship page. Got questions? Contact Jeremy Davidson, Director of Marketing and Events for Shawnee Forward, INC, by calling (405) 273-6092 or via email at jdavidson@shawneeforward.com.